Well, we really didn't make it very far in the last 24 hours. One pick. That was it. Steve was on the ball, ready to kick off round two of the Waiver Draft, but Scott was nowhere to be seen and his time is almost up for the 24-hour rule. Steve ended up dropping the oft-injured and slumping Cam Atkinson in Columbus, opting for a Riley Nash in Boston, who has had a pretty good year, acting as secondary scoring for the Bruins, who have been surging of late, except for last night against Anaheim. There's a lot of joy in the Waiver Draft, that we were able to do so well in the extra days before the week had actually started, since I haven't had a response from Scott, but we'll move on without him here shortly, if I don't hear back from him. I don't think he was planning on many moves, maybe one more defenseman, but it wasn't for certain. I've poked Stacey C. to get him thinking about his 2nd round pick, so we'll pick up the action tomorrow from there, I'm thinking. It hasn't been a good run of games in the last week for Anaheim's John Gibson, as he left the Ducks game before the break with a minor injury, but was able to start last night against the Bruins. He was forced from that game too, with an undisclosed injury, but he was on the ice, when the winning goal was scored, so he did get credit for the 2 points against the Bruins. There was no post-game update on his condition, but until otherwise posted, he's considered day-to-day. In Vancouver last night, the Colorado Avalanche were in to face the Canucks and the left the game with an overtime loss and without the health of their top player, forward Nathan MacKinnon. MacKinnon collided awkwardly with Alex Edler, taking the worst of the collision that he initiated and had to leave the game looking rather worse for wear, dealing with some visible shoulder pain. There was also no immediate update on his condition after the game, nor a timeline for a return, so we'll wait impatiently to see what is happening with the pool's 3rd-best scorer. This a horrible turn of events for Tony's team, which had been making some serious strides in a positive direction in the standings, jumping up to 6th, after a pretty good night in the scoring columns on Tuesday night. If either one of these injuries to Gibson and/or MacKinnon become serious, so much of that positive head way could disappear. Stay tuned! A high, late, blindsided hit knocked out Boston Bruins forward David Backes on Tuesday night, in that game against the Ducks. The hit, delivered by Nick Ritchie, sparked quite the bruhaha in the game, but the injury report after the game was that he did get his bell rung, but the coaching staff didn't know much more than that right away. It certainly didn't look very good and we'll expect an update in the next day or so, with the Bruins playing again on Thursday night. Definitely not great news for Neil's team, which hasn't had a lot of luck with Backes this season, with his other medical issues this year. Backes has only given him 31 games worth of action and only 19 points in those games. Boy, it's a good thing I got off to that head start, because Monday fell flat on its face, when it came to the momentum we had gained over the weekend. Thankfully, however, we did manage to finish the 1st round of picks and drops and I would have to think that the 2nd round should have a bunch more passes than picks. 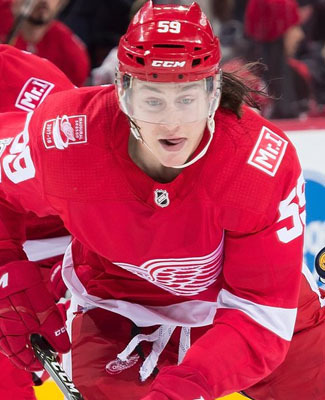 On Monday, we had four picks and one pass to close out the 1st round, beginning with Kristy & Don getting rid of one of their injured forwards in Sven Andrighetto of the Avalanche and picking up Tyler Bertuzzi of the Red Wings, trying to squeeze out every last forward point possible. It's a homer pick, but the kid has been playing quite a bit, so it could possibly pan out in the right direction. Wilton had one player on his roster that was done for the rest of the year and needed some droppage from his roster, Sabres defenseman Zach Bogosian, done after hip surgery in the last week and he really couldn't get himself settled this season. In his stead, it will be Colorado Avalanche rookie defenseman Samuel Girard, who has been good this year, fitting in well after being sent in the other direction in the Matt Duchene deal from Ottawa. An underwhelming Jack Johnson has been the subject of trade rumours out of Columbus, as he wants to be in a position where he can play more minutes, but Benson isn't going to wait around to see where he lands, if the Jackets were able to make a move for him. Benson also made a homer pick out of Detroit, since he suggested that he didn't recognize the names of any of the other defensemen on the available players list, taking Niklas Kronwall to fill the gap. The other Greenley brother on the list, both ridiculously too high on the standings, if you ask me, couldn't quite make up his mind all day. Should he take a goalie? What about a different goalie? No, instead he opted to swap defensemen, dropping a Columbus defenseman as well, David Savard, and taking Chicago defender Jordan Oesterle, a member of the Blackhawks blueline rotation. Finally, Dale B., the reigning champ, is going into the final segment of the season with a bucket full of confidence. He's opted to keep the status quo through round one and likely through round two, if his luck continues. Steve is now up to start the 2nd round of the Waiver Draft and we'll see how quickly we can plow through this. The Winnipeg Jets announced on Monday morning that defenseman Jacob Trouba will be out for the next 6-to-8 weeks with an ankle injury, which he suffered in the team's last game before the All-Star break against the Devils. It doesn't sound like the 23-year old needs surgery for his injury, which is good news, but the extended period of time on the shelf will be a pretty big burden on this club, as they try and maintain their position in the Central Division or possibly even improve upon it. It would likely be pushing up the likelihood that the Jets become buyers before the trade deadline and possibly sooner, rather than later. Trouba leaves behind a big hole to fill on the blueline, more so in the time on ice category, as he was second on the team in ice-time, but he was also contributing offensively, scoring 3 goals and 20 points in 50 games this season, good enough for 49th among all defensemen in scoring. The timeline also makes him a candidate for a drop in the 2nd round of the Waiver Draft for Stacey M., as the next six weeks, at the minimum, takes up more than half of the next segment of the season and her team is really trying to make that push towards the money spots. There isn't a whole lot available for defenders, but having someone healthy would certainly be better over those next 6-to-8 weeks, for sure. As Week Eighteen officially starts today, we still had a pretty good and productive weekend in the Waiver Draft, getting through 19 spots in the draft at the end of Sunday night and kicking off first thing in the morning with the 20th slot. So, let's quickly recap and maybe, just maybe... we'll finish the 1st round by the end of the day. Dale C. kicked it off with dropping his only entry in the rookie race, Washington's Jakub Vrana, who had been somewhat underwhelming on the offensive juggernaut, that is the Capitals. 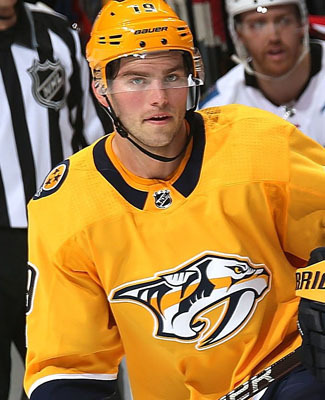 In his place, Dale added Nashville forward Calle Jarnkrok, who should help both the overall race and the plus/minus mini-game as well, down the stretch. Andrew Ladd of the Islanders is currently on the Injured Reserve and that was enough for Stacey M. to dispatch of him, after picking him in the Week Nine player swap. Ladd was somewhat disappointing in his 17 games played, only picking up 5 points, so that was another good reason to drop him too. In his place, Stacey scooped up Nick Bjugstad of the Panthers, adding a bit of size to her team. Clayton couldn't find anyone better than what he already had, so he ended up passing in the 1st round. 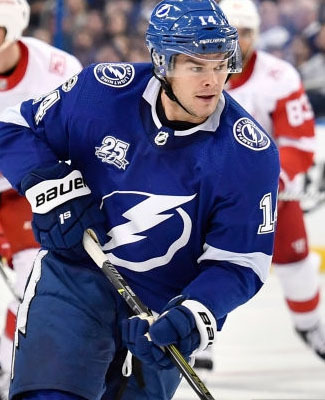 Tony rid himself of Ryan Strome of the Oilers, his least efficient forward and he took a chance on Chris Kunitz in Tampa Bay, citing his current linemates are pretty good and it was totally worth the gamble to do so. Tony's team has been climbing the ranks and could use a quick boost from a veteran scorer. The Josh Ho-Sang era on Grant's team has finally ended. The kid who has been playing in the AHL for the last number of weeks, doesn't appear to be on track for a return to the Islanders any time soon, so he needed to go. Grant noticed that Sam Bennett's game might be turning around in Calgary, so he was certainly worth the gamble to come back into the pool, after being dropped in Week Nine. One more player that has made another appearance in the hockey pool this season, Edmonton Oilers prospect Jesse Puljujarvi, who is now taking over for Joe Thornton of the Sharks on Brenda & Seward's team. The early morning swap today had to be done, as it sounds like Thornton's knee issue could be quite significant, after surgery last week. So, next up is Kristy & Don... they could use a little help in closing up the gap from 5th to 3rd place here in the coming weeks. Keeping with tradition, the Newsletter is being published on Monday morning, even though last week finished off on Thursday night. The Waiver Draft unofficially got started on Friday morning and we've done a couple reviews of what we've seen so far, the All-Star festivities have come and gone and we've reviewed that and awarded the money there as well, but we still have some other weekly honours to hand out this morning and those will be reflected on the standings, as of today. The hockey pool didn't need a full week's worth of action to get to the usual 8 points for our Player of the Week nod, as Robin Lehner of the Sabres only started two games this past week, one in Edmonton and the other in Vancouver, earning shutouts in both games and getting the job done efficiently. The Sabres had three games this week, but seeing as two of those were back-to-backs, Lehner got the back half of the Alberta set, making 33 saves against the Oilers and then on the final night before the break, he made another 30 saves against the Canucks, which is pretty good after being pulled at the end of Week Sixteen, after allowing 4 goals on 19 shots against Dallas. His shutout streak will start Week Eighteen at 119:26 and he'll likely get the nod for their first game, Tuesday night against New Jersey. This good week now brings up his totals to 11 wins and 3 shutouts for 28 points in 37 appearances this season with the Sabres. The Sabres got off to a rough start at the beginning of the season, but it looks like they are finding their form of late and Lehner is a big part of that. His point total now has him ranked 176th in the overall standings, 33rd among all goalies. Of course, the goalie rush at the start of the season, combined with the idea that the Sabres would have been playing closer to this level all season long, made for good reason to take Lehner in the 2nd round and that was what Kristy & Don had done. Lehner was taken with the 36th overall pick, which looks like a bit of a bust, but it's coming back around, for sure. On a side note, this was Lehner's first Player of the Week nod of his hockey pool career and this is the first Buffalo Sabres player to get the nod since the 2013 season, when Thomas Vanek did it twice in three weeks, Week One and Week Three. It was a pretty good race for the Mover & Shaker this past week, with eight teams finishing with 20 points or more with only four nights worth of action. Heading into Thursday's action, it was looking like Wes was going to take the title, having a sizable lead heading into the day, but his team seemed to have sputtered and Tony's team shot past and finished with 25 points, 1 point clear of his competition for his first Mover & Shaker of the season and only his second nod all-time on the website. His first coming in Week Twenty-Three of the 2016 season. Tony's team has really been on the move in the second segment of the season, where he finished Week Ten in 17th place, his team has moved and shaken its way up into the top 10, finishing in 8th place in Week Seventeen, thanks to this big week. His team is now 2 points out of 5th spot, but still has some work to do for the money, still 29 points out. 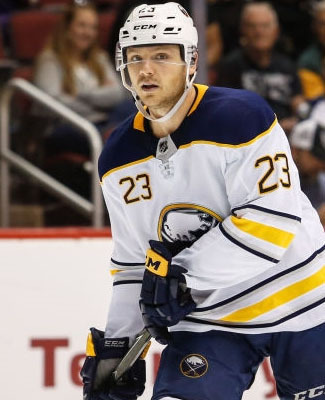 Sam Reinhart of the Sabres led the way on Tony's team, finishing with 4 points, while Logan Couture of the Sharks, Loui Eriksson of the Canucks and P.K. Subban of the Predators were all 3-point players in the week. Only two active players failed to produce points on his team, which is a pretty impressive number, given the limited schedule. In this second segment, which still has one more week of competition left, Tony's team currently ranks 4th in points (199), only 6 points out of the segment lead, his forwards are tied for 10th (112), his defense is tops at 54 points, while his goaltending is tied for 7th (33), showing that the blueline can be quite the backbone at times. It's unfortunate that his team couldn't kick it into gear until the second-third of the season, but if he also has a strong stretch run, there could be some money talk. As for the remaining mini-games, Tony's team is on the positive side of the ledger on the plus/minus game, currently sporting an overall rating of +12, but that is 66 points back of Steve's leading team at the break. Speaking of the break, Tony's team will be represented by Nathan MacKinnon of the Avalanche and P.K. Subban of the Predators, both on the Central Division team, so his loyalties are not split this weekend. Those are two pretty good players to have in this game. Well, if Stacey C. was hoping to get a really good pick in this week's Waiver Draft, then his team went the right way to help him out! Granted, if he wanted his team to finish respectably, well... he got a much better pick in the Waiver Draft! 6 points is the season-low for the Basement Dweller this year and the shortened schedule does have a lot to do with that, for sure. Injuries to Semyon Varlamov of the Avalanche and Ryan Nugent-Hopkins of the Oilers also played a big part of that, while a statistic correction to Reilly Smith of the Golden Knights only compounded the problem this week. Pavel Buchnevich of the Rangers, Leon Draisaitl of the Oilers and Brian Elliott of the Flyers all finished with 2 points a piece, while Lars Eller of the Capitals made up for the correction noted above, which rounded out the quiet week for Stacey's team. Stacey's team dropped from 20th to 23rd, improving his pick by three and as we've seen in the recap of the early days of the Waiver Draft, he ended up picking the best player available in the draft, Boston's Danton Heinen, which should help him greatly. There was no change in the top three this week, but the race for 1st place did get a little tighter. Dale B., the reigning champ, still leads at 440 points, but his lead is now down to 8 points, as Stuart is at 432 and Benson is at 431, well within striking distance, at any given time. The gap down to 4th place, however, has increased, as Wilton's team is floating there on its own at 415 points, 11 points clear of the two duos, Kristy & Don and Brenda & Seward. After those two teams, it really is clustered and these teams will need a huge third segment to tear away and join the money teams and also hope that the money teams all suffer from the plague, simultaneously. Well, Steve's team does seem to have its off weeks, as Week Seventeen wasn't great for his side, finishing with a -8 rating, his first negative week since Week Ten, which was only -1. His team still carries a monster lead of 30 points over Cam's team, but that isn't impossible to overcome, since anything can happen in this department. Steve did try to shore up his chances already and having the 1st overall selection in the Waiver Draft will certainly do that for some teams. 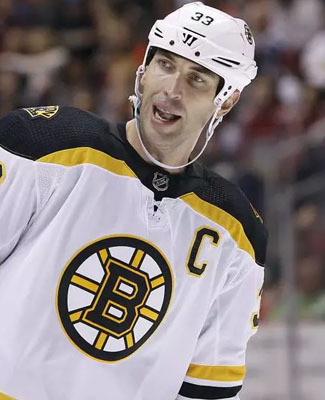 He took the best plus/minus guy available, Boston's Zdeno Chara, who ironically enough, belonged to Cam in the first segment. The mini-games were included to help keep the season interesting for all teams, especially those who aren't in the money race at the top of the overall standings. Steve is loving these games, since he's now got $60 in the bank from the All-Star tournament scoring, something you can read more about below. Steve's team was the best of the bunch, finishing with 7 points out of the three games played and with his team defending well in the plus/minus game, he's coming out like a bandit this year. It's been a little while since we had an update on the goon pool, which isn't for money (I feel like I should remind us all of that every time), but not a great deal has changed since the last update. Even though Wes dropped Radko Gudas in Week Nine, his team still continues to lead the faux pool over Brenda & Seward, now up by 18 minutes. With the bye weeks and the All-Star breaks, we've seen four teams in the last three weeks finish a week with zero minutes in penalties, which has been pretty rare before now, but the schedule certainly allowed for that this season. Ryan's team currently leads the pool in the Lady Byng consideration, with only 182 minutes in penalties, 9 minutes better than Dale C.. Ryan's team isn't one of those teams to have no minutes in penalties in a week either, so that'll be your food for thought this week. Dale C.'s team has done it twice. In the freshmen scoring department, Cam's team overtook Clayton's team a few weeks ago and has held a slight lead ever since. At the end of Week Seventeen, Cam's team leads 72-68 in the faux competition, while Chris' team has been flying up the ranks in recent weeks and his team currently sits at 60 points. This would be a pretty good race, if there was money involved, especially with a few decent rookies left to be picked in the Waiver Draft this week. It truly was a below-average kind of week for the hockey pool, as some teams were already on vacation, by the last day or two. Injuries and backup goalies played a pretty big part, as participation was down significantly. In 35 NHL games this week, the pool only averaged 12.3 points per game in the pool, below the season average of 12.6, but hopefully, all of the players that didn't participate this weekend are all rejuvenated and ready to go for a big stretch run. The crunch is on for a number of teams and now we start counting down to the trade deadline, which is a month away. The Jaromir Jagr era in Calgary inches closer to being officially over, as the team has put the veteran forward on waivers on Sunday, with the idea that he will be reassigned to a European club in the coming days, if he isn't claimed by another NHL club, which does seem somewhat unlikely. Health issues have been a major factor of his inability to compete this season and it had limited him to only 22 games, scoring 1 goal and 7 points. Ryan will still have to sit with him for a week, as the Waiver Draft continues, but Jagr has already got his exit papers from the hockey pool, replaced by Ondrej Kase of the Anaheim Ducks, who will be active in one week's time. It was quite the afternoon worth of hockey on Sunday, coming off a pretty impressive skills competition, the 3-on-3 tournament was fairly entertaining, even if it was a little more defensive than the previous year. The first game on the docket was the Western Conference showdown between the Pacific Division and the Central Division and this was a tightly contested affair, which was only 1-0 at half time. The Pacific got the best of the Central again though, thanks to a solid effort from Connor McDavid and his 4 assists, not to mention a couple of empty-netters late in the game, helped boost the scoring numbers a little bit. Between McDavid and Johnny Gaudreau, Steve got off to a pretty good start, picking up 5 points in the opening game, jetting to an early lead. The Eastern Conference game was a little bit more of a wide open affair and it got the attention of the scorekeepers. The home team, the Atlantic Division, didn't disappoint, as they were having some pretty mad dangles and nifty passes, getting the best of the Metropolitan Division, under a 7-4 decision. Nikita Kucherov was a the hero for the home side, picking up a hat-trick, giving Neil some hope in the mini-game. Dale B. added to a decent start from the West game and was chasing down Steve, tying his 5 points through two games, while Steve didn't have any representation in the East game. Benson was also having a good day, but most of his points were eliminated with two of three guys were on the Atlantic team. Moving to the finals, it was the Pacific versus the Atlantic and it was the team from out west that got off to a quick start and never really looked back. Rickard Rakell had the biggest game in the final, picking up a couple of goals and an assist to help guide the Pacific to a 5-2 win and this was a rare occurrence, where the goalie in the first half of the game, Marc-Andre Fleury, was in net for the winning goal, picking up the 2 points for Scott's team in the end. But for Steve, the player of the game for him was Johnny Gaudreau, who had a goal and an assist to help guide his team to the mini-game title, taking it with 7 points, 1 point clear of the two teams that belonged to Dale B. and Troy. Steve has one mini-game in the bank now and he also has a line on the plus/minus department, which will make for a great season, despite being in last place in the overall standings. The spirit of the PIM pool is alive and well with Wes' team, as he has written off the regular season and decided to goon it right up. 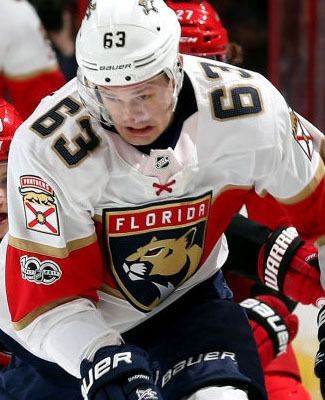 Wes did indeed swap out Panthers forward Radim Vrbata, only to take the best goon available, another Panthers forward, Michael Haley. Wes will go into Week Eighteen on Tuesday night with an 18-minute lead over Brenda & Seward and looks to expand on it, when players go live on Monday, February 5th. Neil was awfully tired of seeing defenseman Dennis Seidenberg in the healthy scratch column, obviously, so he opted to drop the Islanders defender for a Lightning blueliner, Dan Girardi, trying to ride the coat tails of a pretty potent offense, even if Girardi is more of a shot-blocker. Girardi does have 12 points in 47 games, so it isn't a terrible idea. Troy did well to go off the board and look for those players that were injured earlier in the year, only to come back under the radar. He scooped up Nashville defenseman Ryan Ellis, who has only played in nine games this year, but has already picked up 5 points, hence the reason why he wasn't on the top 200 player available list. A very solid move, dropping Adam Pelech of the Islanders to scoop him up. Mike went the route through San Jose to help improve his hockey pool team in the early days of this Waiver Draft, dropping an ill-performing Nick Bonino in Nashville and adding forward Kevin Labanc of the Sharks, who has been doing quite well, emerging virtually out of nowhere. Labanc's scoring rate has been impressive this year, 0.6 points per game, given that most of us probably haven't heard of him yet. With the constant carousel of defensemen in and out of the Blackhawks lineup, Brian has had enough and he dropped Connor Murphy with his first move of the second swap, opting to add a stable body in the Dallas Stars lineup, Dan Hamhuis. Hamhuis isn't quite the point-getter that he used to be, but he has played in most games for the Stars and that's certainly a good start. It appears that Cam has lost interest in the pool, opting to pass in the Waiver Draft to work on things in real life. I mean, who wants to skip out on fantasy sports to deal with real life, right? More players for us then, I suppose! 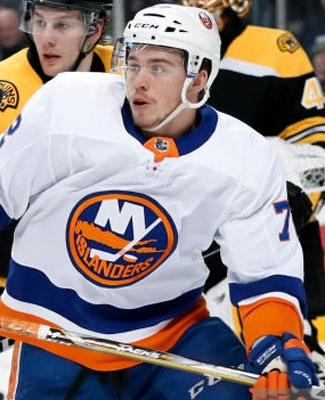 Long Island sophomore forward Anthony Beauvillier has been playing on one of the top two lines for the Islanders and he's been cashing in over the last few weeks, as his team has been starting to heat up of late. This appears to be a pretty shrewd pickup for Chris, who may or may not have been looking for a rookie instead, to play in the non-existent rookie rookie pool, especially since he dropped Los Angeles rookie Adrian Kempe to pick him up. Jeremy made a late night selection, opting for Red Wings forward Andreas Athanasiou, who was surprisingly not taken in the Week Nine Waiver Draft (if you ask me! ), dumping Coyotes forward Tobias Rieder, who has disappointed him greatly. Jeremy figures that this move will be what sparks his team to make up the 46 points to the money in the last segment of the season. Finally, Derek B. had his pick in for a while, waiting on Jeremy's late night swap, and he did it with the smooth confidence of not knowing who his pick was and he figured that's what made it into a brilliant pick that didn't need any fixing later. Derek dropped out injured Islanders defenseman Calvin de Haan and picked up Golden Knights defenseman Brad Hunt to fill the void. Hunt has a pretty good scoring rate, when he's in the Vegas lineup, but how many games will he play? Now, we move onto Dale C.'s pick and we'll probably sort through a few more selections here on All-Star Sunday, I have the feeling that it will move quite well and we might even be done the opening round before Week Eighteen even begins. What a concept! The Swedish National Hockey Team rounded out their roster, as they only had initially announced 23 players in their first go at it, adding forwards Patrik Zackrisson and John Norman to their fold, both coming with pretty good credentials in the KHL this season. 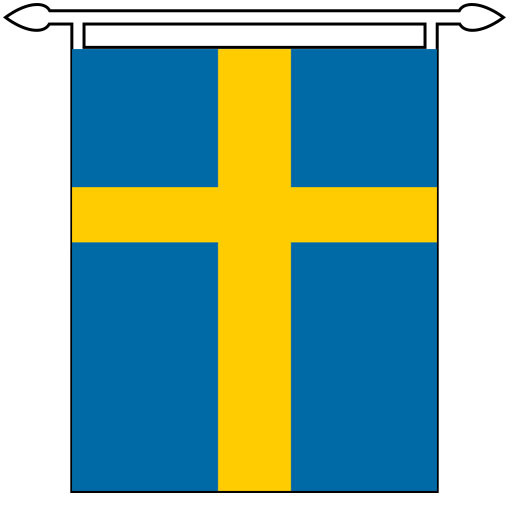 The completed Swedish roster is now listed down below and I believe that means that every team is announced and ready to go for the tournament, we're still sorting out when and where to draft, which should be coming pretty soon. 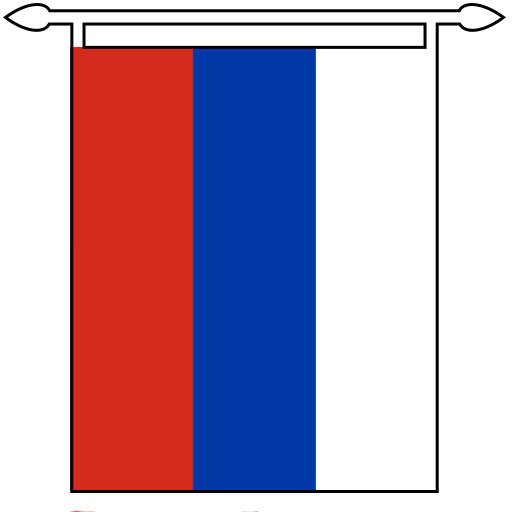 Admittedly, I could have used the Olympic flag, like the Olympic Athletes of Russia are going to have to play under, but they're Russians and that's how we all know them, so that's how I am going to acknowledge them. I am just putting that out there. Sometimes, it's foolish to think that only a couple (maybe a few) names would be enough to make an entire team a favourite in an international tournament, but the players that are coming from the Russian states have that sort of reputation about them and I would imagine both Pavel Datsyuk and Ilya Kovalchuk won't last very long in the draft, once we start it. The (not-to-be-called) Russian team boasts quite a few recognizable names from the NHL's past, going down the list, one may recognize Mikhail Grigorenko, Sergey Kalinin, Vadim Shipachyov (from this season), Alexey Marchenko, Nikita Nesterov and Slava Voynov, not to mention some of the other players that may have stopped by for a quick appearance or two with their respective NHL team. It will be the goaltending that makes it interesting for me, as both Igor Shestyorkin and Ilya Sorokin still have NHL rights with their New York based teams and one, the other or even both may feature in the NHL in the coming years. It will be very interesting to see who gets the starts for this team, because they will be pretty good. Norway hasn't had their fair share of NHL players in recent years, Mats Zuccarello is the only Norwegian player in the NHL today and he has been for a little while. 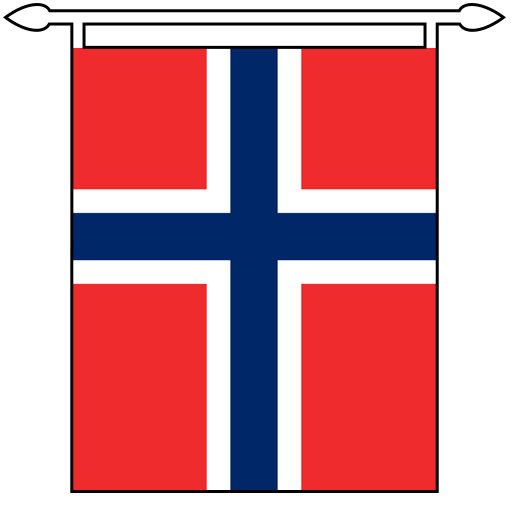 The Norwegian hockey team has appeared in the last two Olympics, Vancouver and Sochi, but they don't have a win in either tournament, registering an overtime loss to the Swiss in Vancouver, as their best result in those two appearances. You would have to look awfully close, but the only player on the team with any sort of NHL experience is forward Patrick Thoresen, who spent some time with the Oilers and the Flyers back in the 2007 and 2008 seasons. Only one player on the team was drafted to an NHL squad and it wasn't the Thoresen, it was defenseman Jonas Holos, who was drafted in the 6th round in 2008 by the Colorado Avalanche, even suiting up for 39 games for the Avs and registering 6 assists. Norway has played in the top tier of the World Championships since the 2006 tournament, so they should be a good bunch, in terms of overall chemistry and they are playing in Group C, with Finland, Sweden and Germany, so it will be a tough slog through the group stage, for sure. 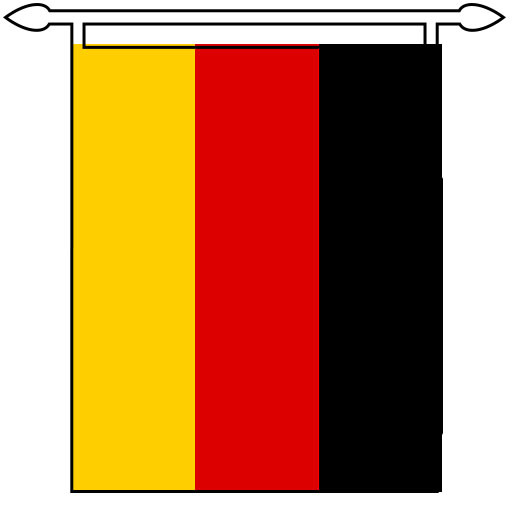 Looking back at the German Ice Hockey Federation's history with the Winter Olympics, they have been to every one of them, thus far. That's got to be worth something, right? Not a great deal of NHL experience on this squad either, other than Marcel Goc and Christian Ehrhoff, as bonafide players in the major league level in North America. Goaltender Timo Pielmeier had a quick cup of coffee with the San Jose Sharks organization and I'm sure Bjorn Krupp has a few of those key genomes from his father, long time NHL'er and proud German National Team player, Uwe Krupp. This German side does boast a lot of international tournament experience, as 16 of the 25 players on this team, represented their team in last year's World Championships and eight of these players have played more than 100 games internationally for Germany. So, overall, they should be a solid unit. Just to keep up appearances, seven of the 25 players listed here, were drafted by NHL teams, Marcel Noebels was the last one on this list, a 4th round pick (118th) in 2011 by the Philadelphia Flyers. The Slovaks don't have a great deal of familiar talent going to the Olympics this time around, but that isn't to say that they don't have any. The most notable name on the team is the 38-year old Ladislav Nagy, who last played in the NHL 10 years ago, finishing off with the Los Angeles Kings. He will obviously be shouldering much of the load for this team, mostly in leadership form. 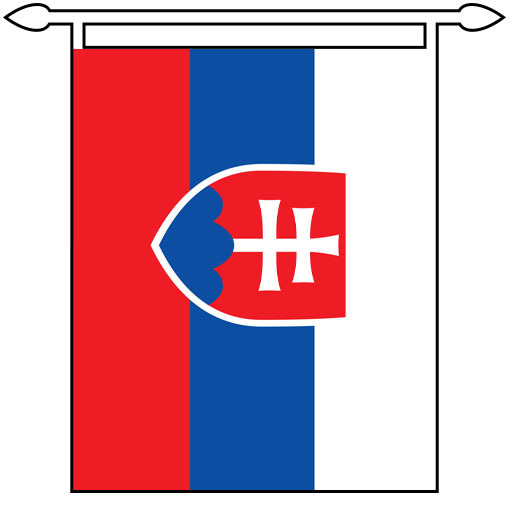 The Slovaks do have eight players, including Nagy, who have been drafted by NHL clubs in the past, the most recent being Matej Paulovic, who was taken in 2013, in the 5th round, 149th overall by the Dallas Stars. There are a few players on the non-drafted list that have seen some North American hockey, playing either in the CHL or USHL, so some of that North American experience may serve them well this time around. Their coach is former NHL'er Craig Ramsey, who has been doing a lot in the European coaching circuit in recent years. I would imagine that this team will be a tough one to play against, but it could be tough to see where the offense is coming from, when we haven't been able to see many of these players. Maybe the question for the Swiss in these Olympics should be, "how hot of a goaltender do you need to win this tournament?" It could be safe to assume that Jonas Hiller will be the guy for Switzerland in Pyeongchang, but Tobias Stephan had a cup of coffee in the NHL (in 2008 & 2009) as well and has also had a long European career. So, they do have that going for them, right? Overall, the Swiss have five players that have been drafted into the NHL(Stephan, Cody Almond, Philippe Furrer, Fabrice Herzog and Joel Vermin) another three that have seen some action as undrafted players (Hiller, Simon Moser and Rafael Diaz) and I think it is fair to say that their hockey program is a big point of pride for them, so they will be coming in to make a good impression. 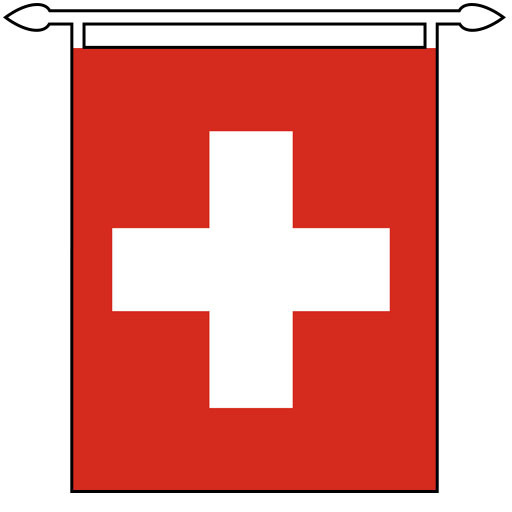 At the last Olympics, the Swiss placed 9th and they have been a staple team at the World Championships as well. They won't blow the doors off other teams, but they will certainly compete hard. 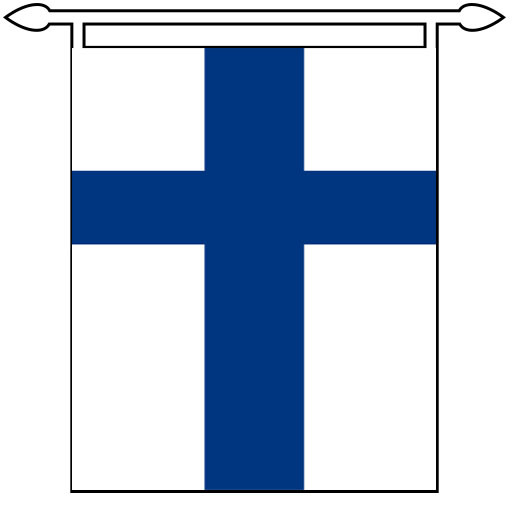 The Finns are looking like they could be a team that could be reckoned with. The team was announced earlier this week and they have a pretty good mix of veteran talent and some of the burgeoning young talent, which is set for a career in the NHL. 14 of the 25 players listed down below have been drafted by an NHL team in their career, but obviously not all of them have been able to hit the ice for an NHL game yet. Miro Heiskanen was the 3rd overall pick in last year's entry draft, while Eeli Tolvanen was the 30th overall pick in that draft too, both coming in hot from a decent showing at the World Juniors. Heiskanen, a Dallas prospect, a good overall defenseman, while Tolvanen, Predators property, is going to shoot, shoot and shoot some more. Between Mikko Koskinen and Karri Ramo, they should be well-endowed in net and since most of these players are playing with each other in Europe, they should find some chemistry fairly quickly. I wouldn't be sleeping on the Finns, I'd rather be looking at a few of these names for some good sleeper picks. The host nation of this year's Olympics, South Korea, does have its own ice hockey league, where they have been trying to build up the game in their nation, certainly with the help of some North American talent, which does feature prominently on their team. 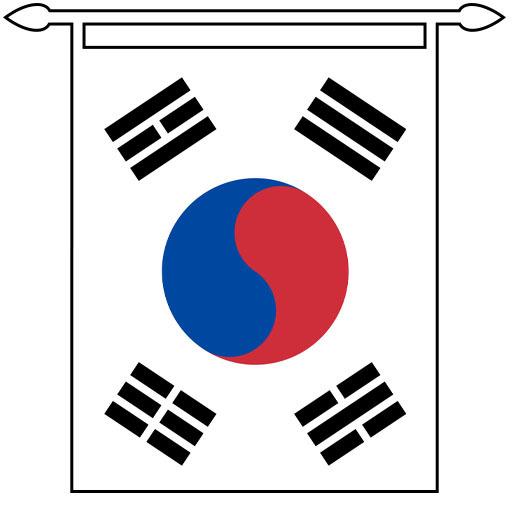 As long as players have been playing in the country for a number of years, they can assume citizenship and be eligible for Korea's Olympic team. Most notable on Korea's roster is defenseman Alex Plante, a former Calgary Hitmen player in the WHL and a former 1st round pick of the Edmonton Oilers, back in 2007. The Koreans might not be too bad, as they had to get through a group with Kazakhstan, Hungary and Poland, all three have made appearances in the World Juniors or the World Championships in recent years, so they will certainly be interesting to watch. We all know that Slovenia's top hockey export in the world is Los Angeles Kings forward Anze Kopitar and he has done well to raise the awareness of Slovenia in the modern hockey world. They have indeed qualified for the Winter Olympics and they have been making some noise on the world scene in recent years, appearing in the last Olympics, where they placed 7th with two wins to their name, and they have appeared in four of the last eight World Championships as well. 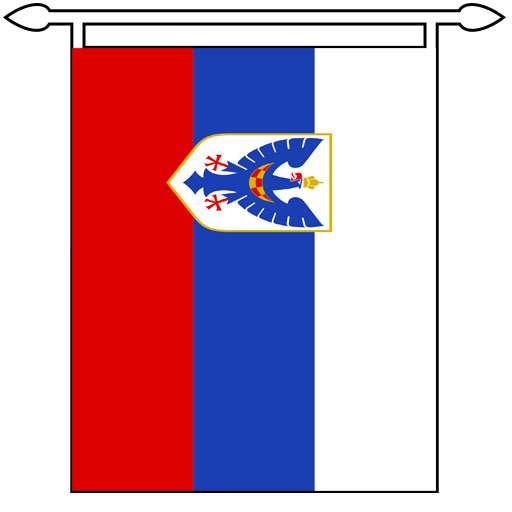 Their team captain, Jan Mursak, does have some NHL experience and might do well enough to be worthy of a selection in the hockey pool. Mursak played a combined 46 games for the Red Wings over three seasons and had 2 goals and 4 points, but he is a staple for the Slovenian side and with the three pools in the tournament, there could be some room for scoring in there. In all honesty, I thought the head start that I would get out of Friday's action would have been pretty limited, but I was pretty impressed by those who jumped up and made their picks right away. I believe that means that everyone is still watching... maybe there is some good chirping going on out there, that I don't get to see behind the scenes. So, let's not wait for it, let's get after it! Cam had dropped Zdeno Chara in the first Waiver Draft and rightfully so, his overall offensive numbers are a way down, but to his benefit, Chara has been on the ice for the Bruins offensive surge and still uses his size to help keep the puck out of his net. Therefore, he was the perfect pickup for Steve's plus/minus leading team, as the best player available in the statistic and the season-ending injury to Vegas' Luca Sbisa made him the perfect drop. 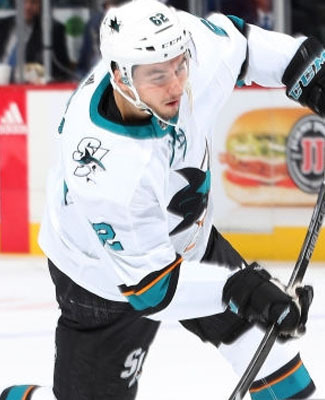 Scott's team was starting to find some good health among his forwards and everyone he has is starting to work, so he too went to the blueline to feel out some more scoring and he dropped Vancouver's Ben Hutton to pick up San Jose's Justin Braun with the 2nd pick of the round. 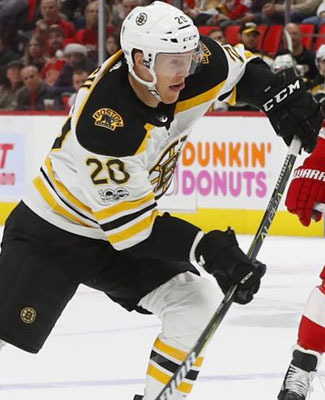 The top player available in the Waiver Draft, another Bruins, rookie forward Danton Heinen, goes 3rd overall to Stacey C.'s team, which is in dire need of some more scoring after a dismal Week Seventeen. Stacey nominated Philadelphia forward Valtteri Filppula as his worst forward on the team to make room for the Boston rookie, hoping he can make up some ground and get to a more respectable position for the end of the year. Another Week Nine drop comes up big in Week Eighteen, as Evgenii Dadonov was a drop of Dale C.'s, only to be a treasured pick for Eric's 4th overall pick on Friday. Eric's group of underachievers has been quite the disappointment, especially for how much hype a lot of his guys had coming into the year. Max Domi was the most disappointing on his team and ended up being the drop on Friday afternoon. I'm sure it was very disappointing for Ryan to drop Jaromir Jagr, but it had to happen. It certainly looks like his NHL career has completed, but will see out his injury on the Calgary Flames payroll for now. Taking his spot on Ryan's roster is Ducks forward Ondrej Kase, who had one of the better scoring rates among the top forwards available, thanks to missing out on a number of games, due to injury. Next up on the clock is Wes' team, which could probably use a little bit of help up front and on the blueline. I can't see Radim Vrbata lasting very long there. The 2018 season has now concluded for Sabres defenseman Zach Bogosian, after the team and the player both agreed that hip surgery was a logical decision moving forward, looking ahead to the 2019 season, more than anything else. Bogosian has been dealing with a hip problem since the start of the season, but a combination of the hip and another lower-body injury, suffered in January, made the decision a little more straight-forward for both parties and the surgery needs an extended period of time for recovery, but they expect the 27-year old to be 100% for training camp. I don't think there was going to be any hesitation on Wilton's part to cut ties with Bogosian in this week's Waiver Draft, it will be a matter of when than if at all. Wilton's team goes into the break in 4th place and a couple of tweaks could certainly help his team get back into the conversation. Another name has dropped out of the All-Star festivities, as Columbus defenseman Seth Jones has been sidelined with an illness, according to the Blue Jackets release on the matter, so instead they will be sending teammate Zach Werenski in his place. It is unclear whether or not Jones will have to miss a game of the regular season, just to comply with the guidelines or whether or not illness is good enough reason to pass through unscathed, given that a player can recover over the weekend. Werenski has been pretty good for the Jackets this season, scoring 11 goals and 22 points in 45 games, good enough for 239th overall in pool scoring, 40th among all defenders. He is the lowest scoring defenseman going to the festivities, but it's an easy switch for the league and the team. Jones coming out means that Derek B. loses a body at the All-Star tournament, while Wes gains one, which now means that both pool teams have two players participating. The New Jersey Devils are holding Taylor Hall back from the All-Star festivities this weekend and in his place, they are sending non-pool forward Brian Boyle, who is likely to be picked up this coming week in the Waiver Draft, but will be ineligible for the mini-game. The Devils are in a good spot in the playoff race and they want to make sure Hall is ready to go for the stretch out of this last break, giving his hand/thumb a little more time to heal. He missed all three games this week, so if he gets the green light next week, he'll be able to go right away. Boyle, on the other hand, is one of the feel good stories this season, with his preseason battle with cancer, only to come back and be fairly productive for the Devils. In 38 games played, he has 11 goals and 17 points, ranking 25th among available players in the Waiver Draft, which starts right away. Anaheim Ducks number one goalie John Gibson left Thursday night's game in the 3rd period with a lower-body injury, not to return. After the game, the Ducks coaching staff had no update for the keeper, but you can safely assume they will make the best use of the break to assess the injury and give us all an update on the other side of All-Star festivities. Of course, without any concrete news on the injury, there's only so much to go on for Tony, as we move into the second Waiver Draft. I'm sure Tony wants nothing to do with dropping Gibson, so the hope will be for something minor and he can climb back into the net to help Tony's team make its way into the money. The Arizona Coyotes had a rough night on Thursday, starting out with defenseman Alex Goligoski being held out of the last game before the break with an illness, currently listed as day-to-day, while defenseman Jason Demers suffered an upper-body injury in the game against the Columbus Blue Jackets. They also lost non-pool forward Brad Richardson to injury as well, so the break can't come at a better time for their hurting bodies. It isn't like this will make a difference to their playoff contention, but they'll still want to finish the season well to keep some level of pride. Benson's defenseman, Goligoski, will likely take the break to get over his bug and he should be probable for their return, which isn't until next Thursday, at home to Dallas. Demers, on the other hand, is a different story, but like Gibson above, we probably won't hear more about him until the break is over. Brenda & Seward will certainly have a decision to make on Demers, but with an injury, they can wait until the bonus round, if they so chose. The Chicago Blackhawks are still looking for consistency and still rotating players in and out of their lineup. On Thursday night, Patrick Sharp was made into a healthy scratch again, sitting for the game against the Red Wings, a game they won, 5-1. You would have to believe that the Blackhawks will be trying to make moves before the trade deadline, which is now a month away, to improve their chances at a playoff spot and Sharp could be one of the guys that fall victim to those moves. I have Benson dropping Sharp at some point in this coming Waiver Draft, so he shouldn't have to worry about it for too much longer. His team could use a little bit more of a boost from this spot, if possible, seeing as though he's chasing down 1st place money, going into the All-Star break. The Philadelphia Flyers gave the full night off to Brian Elliott on Thursday night, giving Michal Neuvirth the start against the Tampa Bay Lightning and recalling Alex Lyon to take on the backup duties for the evening. Elliott is said to be nursing a lower-body injury these days, so an extra day or two of recovery could probably go a long ways to help save him from further injury. I would have to believe that Elliott should be good to go when the schedule resumes next week. I'm sure Stacey C. would have preferred to see his goalie healthy for the last night before the break, but the Lightning were too strong for the Flyers on that night anyways, winning 5-1, so he wouldn't have picked up those points, in theory, anyways. Stacey could have really used those points too... more on that in Monday's Newsletter. Finally, the Washington Capitals may be holding their breath a little bit, as they await word on the severity of the injury suffered by forward Evgeny Kuznetsov on Thursday night against the Florida Panthers. The injury appeared to be a groin injury of some sort, but the team would only go so far to give it the ol' lower-body injury tag. He will be among those reevaluated over the break, but it doesn't look too positive right off the hop. Jeremy's team needs a big recovery in the third segment of the season and that would require a healthy Kuznetsov, because replacing him in the Waiver Draft isn't going to give him nearly the production that a healthy Kuznetsov would get him. Jeremy's team finished the week in 13th, 5 points out of the top 10. No NHL Players, No Problem... Olympics Pool!